Aviation Specialties Unlimited (ASU) receives notice from Transport Canada that it has received a supplemental type certificate (STC) on the Airbus AS350. 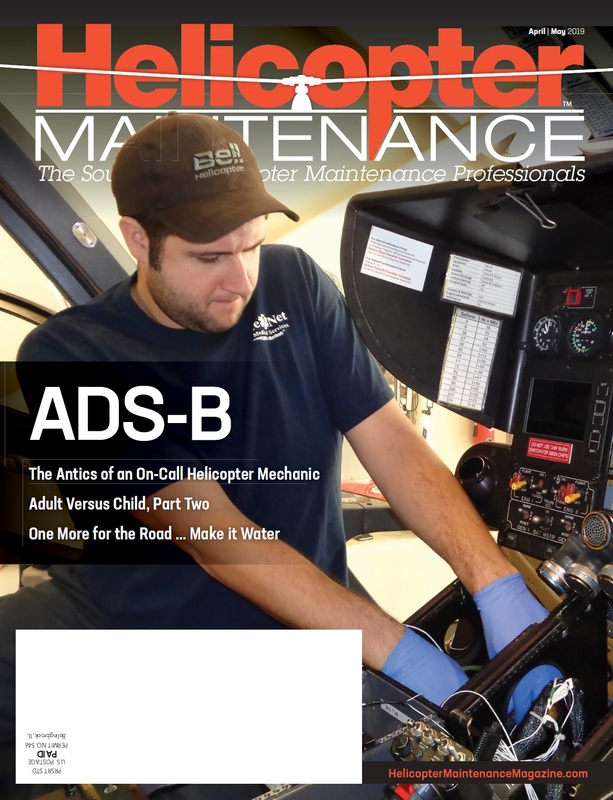 ASU modified the AS350 for HNZ Topflight. The modification was ASU’s 208th on this airframe globally. REBTECH, a company specializing in avionics night vision lighting, announces a partnership with Kuerzi Avionics of Lommis, Switzerland. Kuerzi will perform night vision filter implementation and aircraft installations for REBTECH in Europe. Milestone Aviation Group (“Milestone”), a GE Capital Aviation Services company and a global leader in helicopter leasing, and Leonardo announce that Falcon Aviation of Abu Dhabi (United Arab Emirates) will expand its AgustaWestland AW169 helicopter fleet with the addition of three aircraft. Mexico’s Directorate General of Civil Aeronautics (DGAC) approves the Offshore and Utility type certificate for the Sikorsky S-92® helicopter. The certificate enables the operation of S-92 helicopters in Mexico in all production configurations, including offshore oil and gas transportation, search and rescue, as well as regional airline passenger service and VIP transportation. Bell Helicopter announces the signed purchase agreement for a Bell 407GXP to a private customer in Nova Scotia, Canada. Bell Helicopter, a Textron Inc. (NYSE: TXT) company, and Boeing (NYSE: BA), announces the Bell Boeing V-22 fleet of tiltrotor aircraft, including both CV-22 and MV-22 variants, has surpassed the 400,000-flight hour milestone. StandardAero Aviation Holdings, Inc. (“StandardAero”) and Airbus SE (“Airbus”) announce they have finalized the acquisition by StandardAero of Vector Aerospace Holding SAS (“Vector”) from Airbus. Able Aerospace Services, a subsidiary of Textron Aviation Inc., a Textron Inc. (NYSE: TXT) company, signs a long-term contract renewal with Air Evac Lifeteam, part of Air Medical Group Holdings, the largest air ambulance service in the U.S. The contract designates Able as the exclusive service provider for dynamic component repair and overhaul services for Air Evac Lifeteam’s fleet of 128 Bell Helicopter 206 aircraft. The helicopter industry takes advantage of higher speed, onboard Wi-Fi, video transmission and telemedicine capability in Europe and North America using Honeywell’s (NYSE: HON) Connected Aircraft solution, the Aspire™ 200 system. DART Aerospace, a producer and manufacturer of helicopter equipment, is nearing certification of the Bell 505 Bearpaws and is now accepting pre-orders.